The engine in your Nissan runs at incredibly high temperatures. If left unchecked, it would overheat and break down. But your radiator keeps this from happening. The radiator in your car, truck, or SUV ensures that the engine stays cool. It does this by cooling the coolant which flows from the engine. 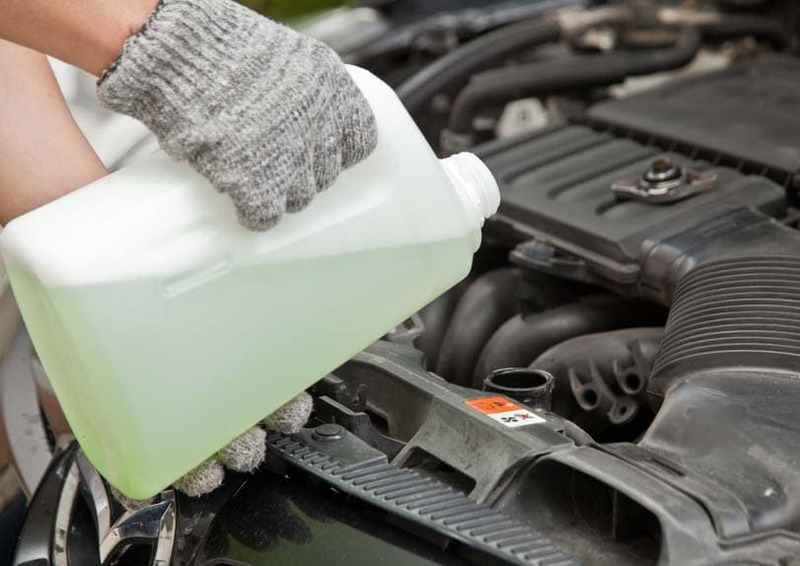 When the heat from the coolant dissipates, the chilled air then passes back to the engine and an acceptable operating temperature is maintained. This is all only true, of course, when your radiator is functioning at full capacity. To keep it working properly, you’ll need to have your radiator flushed at periodic intervals. A Radiator Flush is a type of preventative maintenance that helps stop the buildup of particles and debris within your Nissan’s cooling system. As a general rule, you should have this done every 30,000 miles or three years — whichever comes first. Consult your owner’s manual to determine the specific recommendation to have this service completed for your Nissan’s exact make and model. If you go too long without having your radiator flushed, it can cause damage and repairs may be required. It’s best to follow your recommended radiator service schedule and keep your vehicle from getting to this point. However, if your Nissan does display any of the aforementioned warning signs and requires radiator repairs, United Nissan is the place to go for drivers in Las Vegas. Our dealership is the number one destination for all Genuine Nissan and Nissan Approved parts and services in the area. This includes radiator flushes, repairs, and replacements. If it’s time to have your Nissan’s radiator serviced, or you are experiencing any radiator problems book an appointment with United Nissan at a time that works for you. You can schedule your maintenance online or call (855) 355-5041 to speak with a member of our staff during regular business hours. Our service center is open Monday – Saturday from 7:00 AM to 7:00 PM. A Nissan expert will gladly assist you or answer any questions you may have.